This is a website dedicated to the scientific exploitation of a new set of stellar libraries and stellar population synthesis models for the study of stars and galaxies, and their evolution. The main emphasis of this page goes into the stellar library (MILES) developed for stellar population synthesis models. The library consist of ~1000 stars spanning a large range in atmospheric parameters. 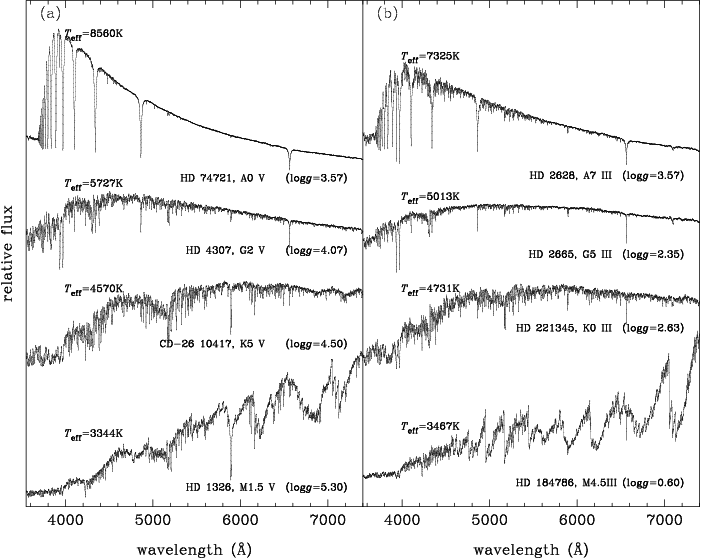 The spectra were obtained at the 2.5m INT telescope and cover the range 3525-7500Å at 2.50Å (FWHM) spectral resolution. In addition we also provide spectra for the near-IR Ca II triplet stellar library, 8350-9020Å and 1.5Å (FWHM), and SSP models. The spectral resolution, spectral type coverage, flux calibration accuracy and number of stars in both libraries represent a substantial improvement over previous libraries used in population synthesis models. We give access to both the STELLAR LIBRARIES and STELLAR POPULATION MODELS developed by our group, as well as a set of WEBTOOLS to retrieve, handle and transform them. They replace the former MIUSCAT and MIUSCATIR models. IMPORTANT: This website works best on Firefox. Some features may not display correctly in other browsers.